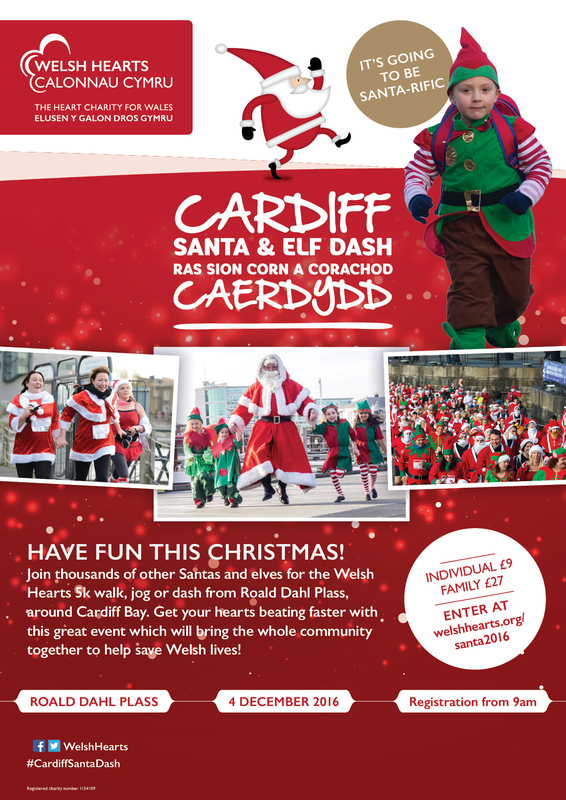 Have Fun this Christmas and go that extra mile and join Welsh Hearts for an all Wales festive life saving 5k Dash, Walk, Jog or run around Mermaid Quay and Cardiff Bay on Sunday December 4th. Get your hearts beating faster this Christmas with this great event which will bring the whole community together! Last year we had over 2,000 Santas and Elfs, Snowmen, Turkeys and various amazing other characters! £9 Registration to include a T Shirt, Water,and a Certificate! Why not set up a Just Giving Page? Prizes for the best dressed on the day! To book a place contact Fundraising@welshhearts.org. 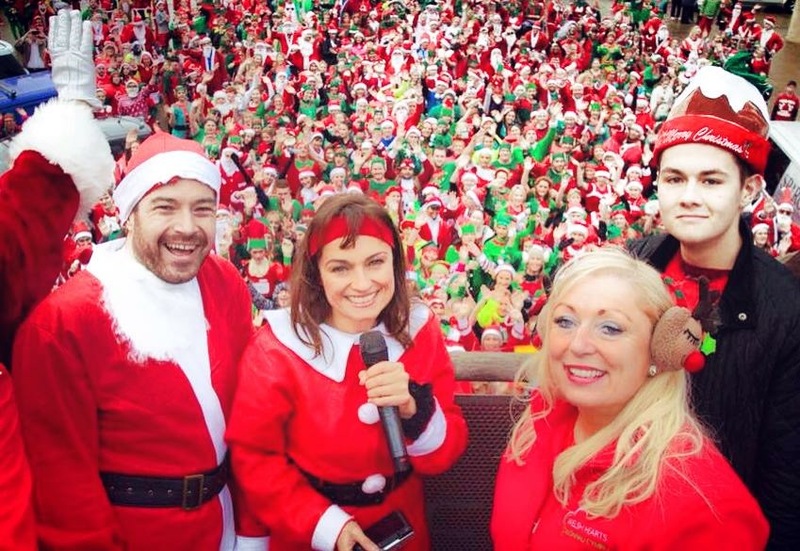 This Family Festive Fun event is open to everyone – So go on “Be Elfy” this Christmas! 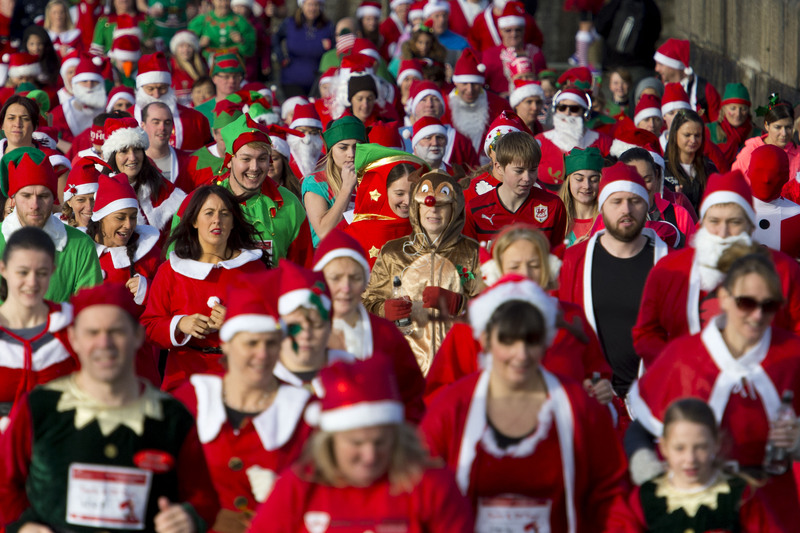 So join the fun and be part of something truly SANTA-FANTASTIC this Christmas and join the Festive Dash to help us save lives in Wales!